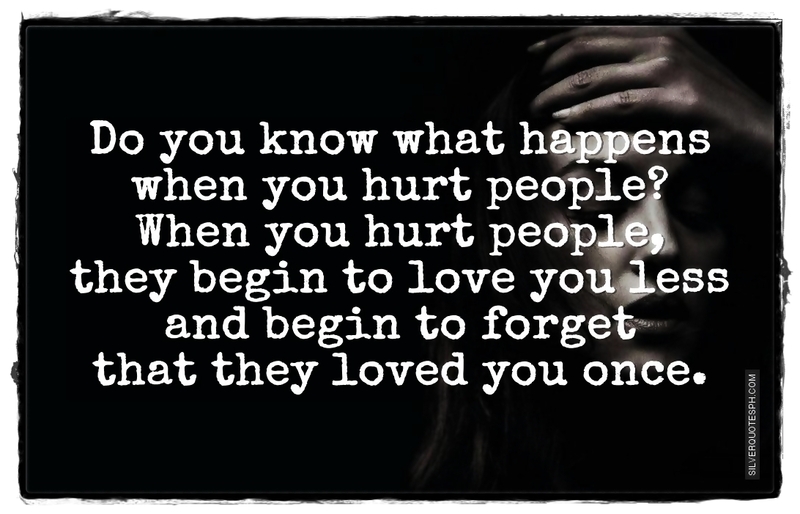 Do You Know What Happen When You Hurt People? Do you know what happens when you hurt people? When you hurt people, they begin to love you less and begin to forget that they loved you once.